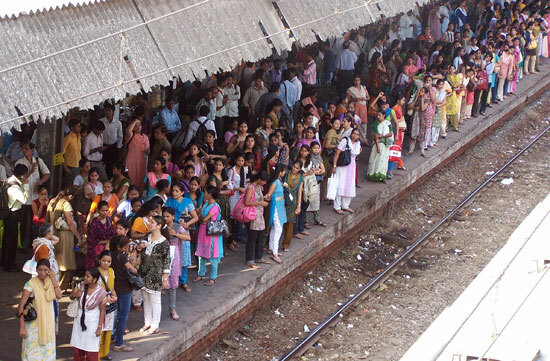 Mumbai’s trains are back on track after two days of disruption caused by railway motormen who went on strike in demand of higher wages, including overtime allowances, and increased safety. The strike paralyzed the city, as two-thirds of commuter service were canceled on Tuesday. It’s estimated that the city’s main suburban train systems, which carry 7 million passengers daily, lost up to 5.5 million rupees ($120,000). There’s still no telling of what consequences this had on other business in the city, as scores of employees didn’t show up for work as usual because of the stalled trains. A committee will be formed to respond to the demands of the motormen by June 15. Some motormen are even taking their fight online. See this blog from a motorman who’s been in the business for 17 years: “Corrupt Trade Unions Vs Mumbai Motorman.” It’s not the most organized or coherent plea, but it shows one effort to make these concerns public. “The blog will explain all our views, our problems and our interactions with the railway administration, so that our commuters and the media are kept in the loop,” said an anonymous senior Western Railway motorman in the Hindustan Times. TheCityFix wants to know: Is there anyone else out there who wants to join the conversation online? Leave your comments below.